We bow in the golden rays of sunlight, getting ready to bear fruit. For days and weeks we’ve harbored seeds threaded on silky filaments. Today we open up to give them freedom and air, so they can find room to grow. We release them with soft parachutes to lift and carry them away on their golden travels through summer sunsets. We’ve survived by being inconspicuous and growing quietly, without notice. 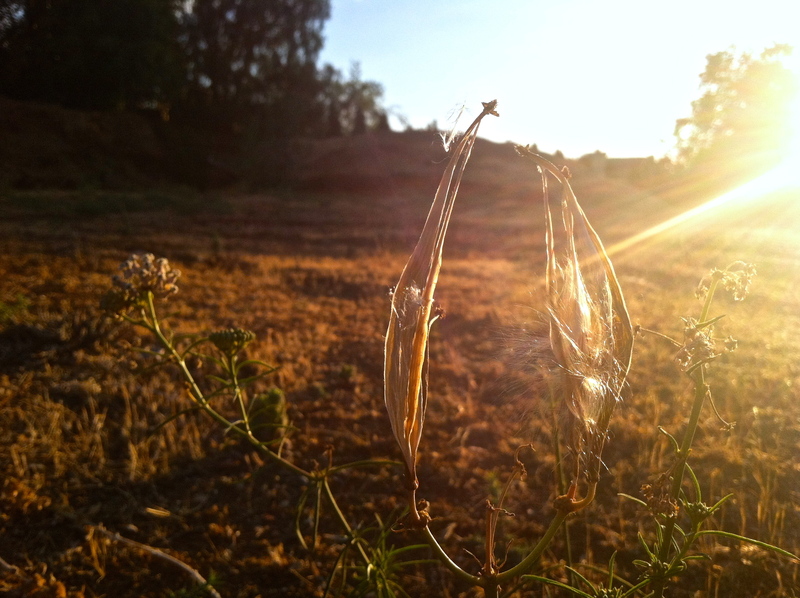 Seeds, we held you tightly and protected you for as long as we could. But the time has come for release. So today we shall give you up. Quick as a wink, seemingly overnight, we’ve assumed our dramatic pose, ready to say “fare thee well”. We shall do anything it takes to keep our planet spinning. We are bold. For now we are parents and our world has been redefined.